Onslow County 911 Communications Center calls have been temporarily transferred to the Johnston County 911 Back-up Center in Clayton. The transfer of service was made as part of Onslow County 911 Communications Center’s contingency plans to ensure continuation of public safety of communications in the Jacksonville, NC area at an alternate location as a result of Hurricane Florence. 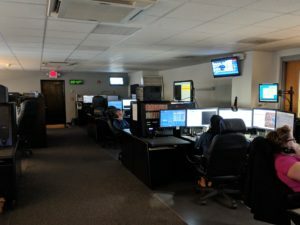 The Johnston County 911 Communications Center is fully able to receive and process public safety calls for Onslow County from the back-up center location.